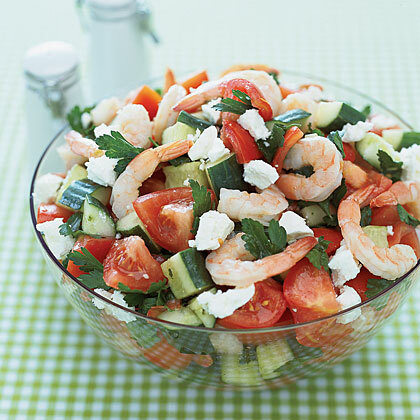 Search results for "greek salad"
The vinegar is quite pumped-up because there's not much time for the cukes to pick up much flavor otherwise. 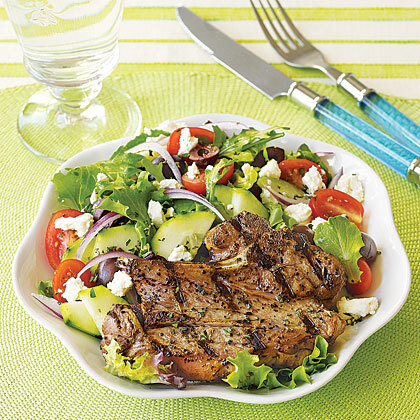 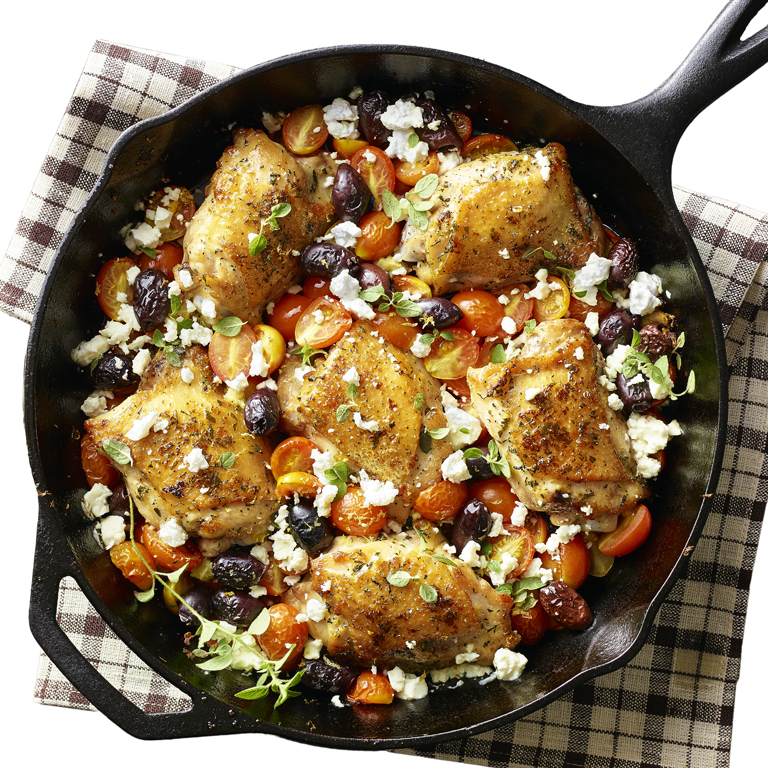 Serve with grilled steak or chicken or beef kebabs. 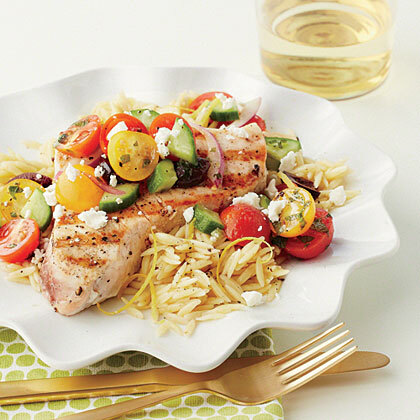 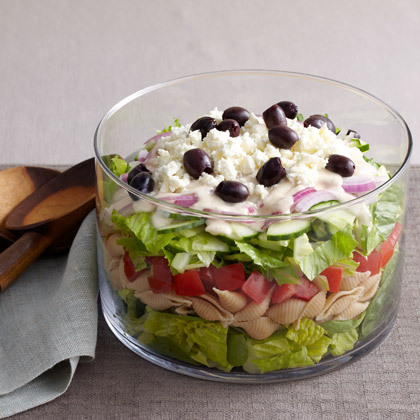 This delicious Greek salad recipe comes together in minutes and is a hit with guests of all ages. 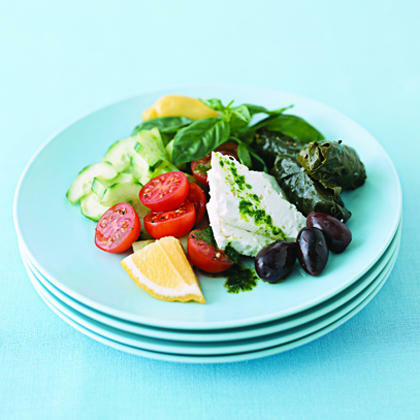 Create a portable lunch by spooning tangy Greek salad into pita-bread pockets. 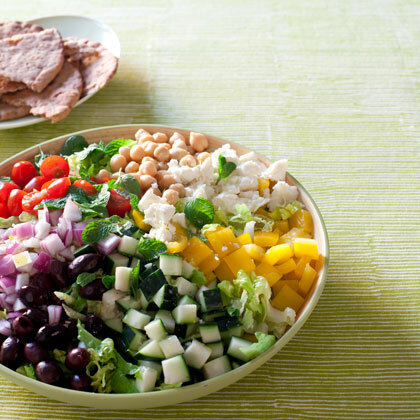 With a few simple ingredients you can top your greek salad with a homemade dressing that is fresher and healthier than the bottled options. 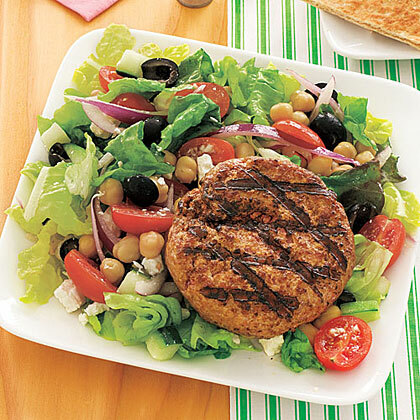 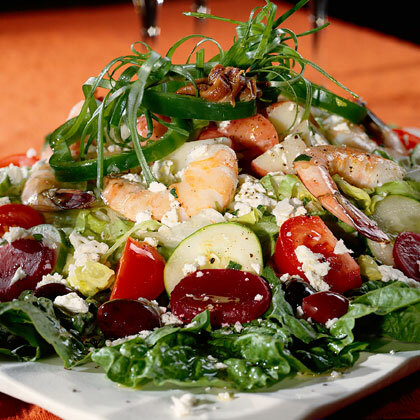 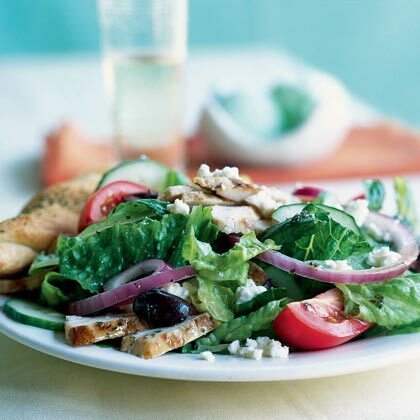 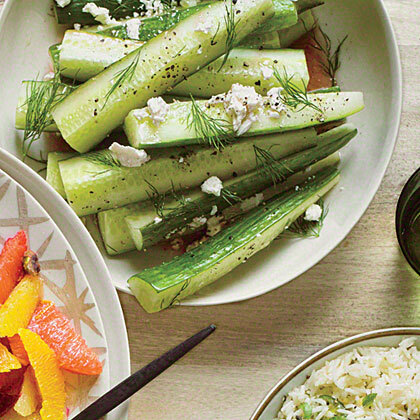 Add Greek style to a tossed veggie salad by tossing in olives, feta cheese, mint and a tangy olive oil vinaigrette.